November 4th, Vancouver Island University. 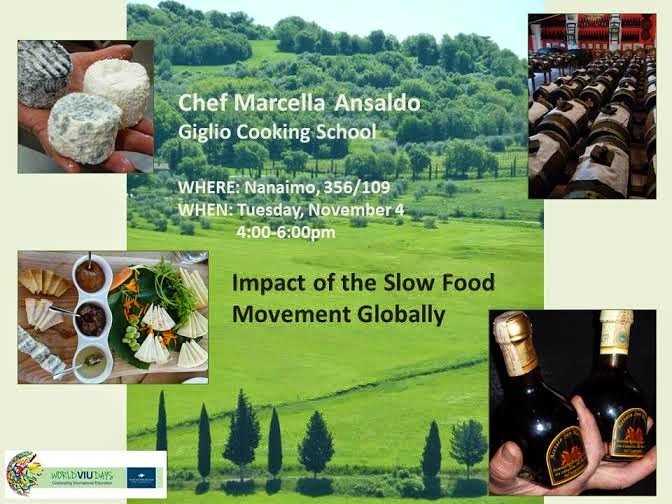 The lectures is about the dangers of globalization of food on public health. Sad, intense, emotional and with a final message of hope. Thanks to Chef Shore and to Professor Lim for the honor they gave me, letting me speak in their important University.